It has been a few months since our open house and we wanted to again thank everyone for their respectful feedback. We learned a great deal and have been working hard to reflect that in our plan. One of the over arching messages we received was that this proposed change is overwhelming, in terms of the size of the land and the number of residences proposed. We get that. This is a big parcel of land… 914.27 acres to be precise. The plan is to develop only half of that, with the other half remaining as open space with a build out spanning a few decades if not more. Still this is a significant proposed change, and it is only one part of a larger more complicated development puzzle. 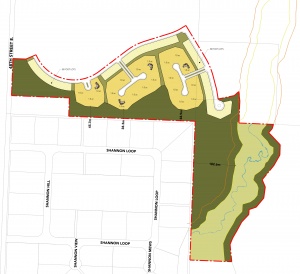 We believe the scope of the project is difficult to imagine and appreciate that the consideration of Ribstone can not happen in isolation from other future development and the aspirations for growth and density in the Central District outlined in the MD’s Growth Management Strategy in order to preserve farmland elsewhere. Our goal was to provide a high level of detail about our plan at our open house and subsequently through our website. We continue to believe this is important but want to ensure that this high level of detail and transparency does not confuse the process. We have not submitted an application of any kind. These initial plans were a way of putting our best foot forward and to gather feedback and pick up from where we left off in 2008. We will now, in a series of emails/web articles be sharing with you how our proposal has changed to reflect what we heard. Our goal also is to service this site with piped water and wastewater infrastructure as the most sustainable method of servicing for this site and for the greater Davisburg /Dunbow Road area. In order to achieve this we require the density to make it economical to operate. We can’t waiver from having density here, but we can design it in a meaningful way. We welcome your continued feedback as we move forward with the process and are of course open to suggestions and modifications. Our ultimate goal is to create a community that is respectful of both the land and our neighbours which also helps achieve the policy goals set out by the MD. We recognize that these may seem like two diametrically opposed goals but are confident that Ribstone’s design can accomplish both. 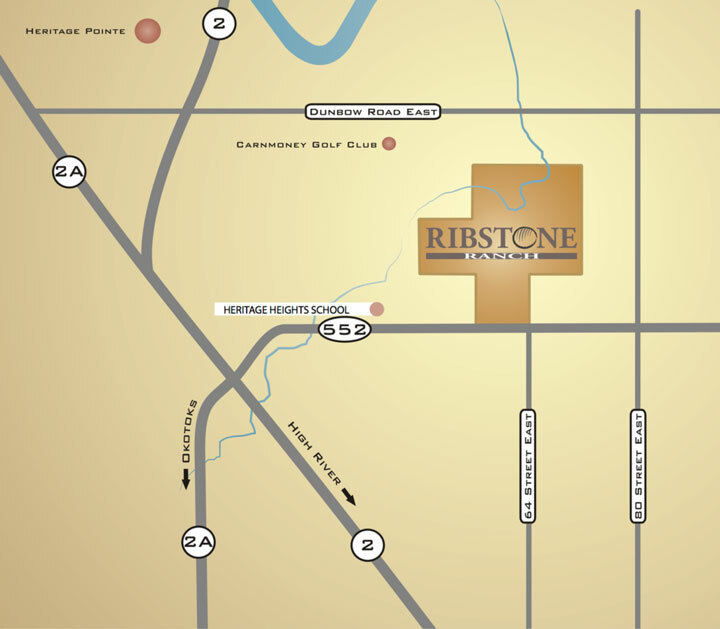 There is something very balanced about the fact that Ribstone will offer 51% open space striking a beautiful balance between progress and preservation. We knew without a doubt the first modifications would be in and around the existing communities of the Shannon’s Loop and Norris Coulee. As the included map illustrates, we have removed all development directly to the east of the The Shannon’s, and reduced the density to one acre parcels plus retained the large buffer originally proposed creating a very respectful and effective transitional buffer. This northern interface area between Ribstone and its neighbours will include 1-acre country residential lots on cul-de-sacs so the lots are pie shaped and large at the rear. This is not the extent of our changes. There will be additional modifications communicated in the coming weeks prior to any applications being made. These changes do however respond to some of the greater design concerns we heard through our consultation process to date. We look forward to moving forward with this process from which we believe will emerge a respectful, sustainable community, which will be part of a thriving Central District, a beautiful addition to a beautiful area and a place we will all be proud to be associated with.